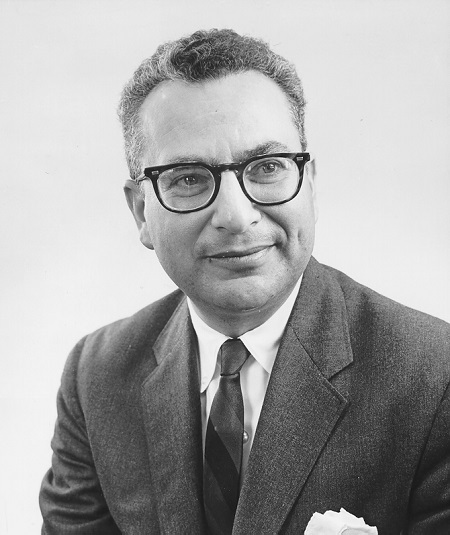 Born in New York City on September 15, 1929, Gell­-Mann entered Yale University at age 15 and earned his doctorate from the Massachusetts Institute of Technology in 1951. He taught briefly and worked with the great physicist ENRICO FERMI at the University of Chicago before becoming a professor of theoretical physics at the California Institute of Technology in 1955. 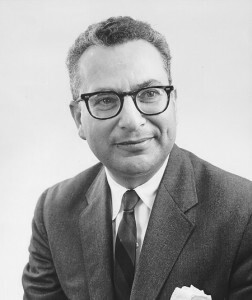 When Gell­-Mann was young, most physicists believed that the proton, neutron, and electron were fundamental particles, unable to be reduced to something smaller. But during the 1950s scientists working at powerful new particle accelerators discovered more than 100 other particles, most with very short life spans, but with properties much like protons and neutrons. Organizing all the new particles and making patterns of them was the challenge Gell-­Mann took on. He discovered that all known subatomic particles could be grouped into eight families, with the proton and neutron as the least massive particles in one of those groups. He called the pattern the Eightfold Way, after the eight attributes of right living in Buddhist philosophy. Gell­-Mann realized that there were holes in the pattern, some particles that had yet to be discovered. He predicted the properties and decay mechanisms of one of them, called the omega particle, and in 1964 it was discovered and shown to act in just the way he had described. He received the 1969 Nobel Prize for Physics for his discovery of these patterns that organize subatomic particles. More importantly, in 1963 he suggested that the whole pattern could be reduced to just three new particles, which he called quarks, joined in combinations of twos and threes. A proton, for example, is made of two up quarks and one down quark, while a neutron is one up and two downs. The other relative in that same family is the sideways quark, which has since been renamed the strange quark. The names are all whimsical choices that reveal something of Gell­-Mann’s sense of humor. He went on to develop quantum chromodynamics, the theory of how the quarks interact and link together, through other particles called gluons. His current major interest is the interconnection between the simple and the complex in nature. In 1984 he co­founded the Santa Fe Institute dedicated to interdisciplinary research on complex adaptive systems, including advanced computers and living organisms. Gell­-Mann’s legacy rests on his innovative conception and model of the subatomic particles he called quarks, ideas that have influenced much of the current research in particle physics. Gell­-Mann’s quark model seemed ridiculous at first, as it required particles with fractional charges. The up quark carries a charge of +2/3, as do the more recently discovered relatives, the charm and top quarks. The down, sideways (or strange), and bottom quarks each have a ­1/3 charge. The quark model quickly became accepted as the standard for research in particle physics. Scientists now seem certain that quarks exist, as recent discoveries have continued to confirm and expand Gell­-Mann’s original model. In 1974 scientists at the Stanford Linear Accelerator Center and the Brookhaven National Laboratory found a particle that could only be explained as containing a fourth quark, called charm, a massive relative of the up quark. Just three years later the Fermi National Accelerator Laboratory (Fermilab) was the site of the discovery of a fifth quark, called bottom, a heavy version of the strange and down quarks. Seventeen years of intensive research finally produced the ultra­massive top quark at Fermilab in 1994 and proved that it was a heavy version of the up and charm quarks. Will experiments of the future continue to find more and more kinds of quarks? Perhaps, but experimental evidence suggests that there are only six, although current theory cannot explain why. Another problem relates to the masses of the quarks: a single top quark has as much mass as an entire atom of silver. Scientists well into the twenty­first century will wrestle with the difficult problem of explaining the odd pattern of quarks’ masses.